Is it lawful to dismiss an employee who gains a criminal conviction during employment? 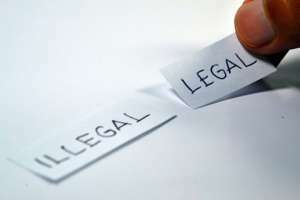 There is nothing in the general protections under the Fair Work Act which deals with discrimination against employees due to a criminal conviction. Nevertheless, a dismissal which targets an employee due to a criminal conviction may well constitute an unfair dismissal. Since most criminal convictions occur out of work hours, the principles are the same whether the conduct occurs at work or out of ordinary working hours. Either way, to justify a dismissal because of a criminal conviction an employer will need to be able to demonstrate a capacity for the conduct which lead to the conviction, or the fact of the conviction itself, to have some relevance to the workplace. For example this might occur where the conduct is likely to cause serious damage to the relationship between the employee and employer or have the capacity to damage the employer’s interests or reputation or the conduct is incompatible with the employee performing their duties, for example a conviction for child abuse in the case of a teacher. Or where a conviction may affect the employee’s ability to undertake his or her role for example where an employee is required to possess a valid driver’s licence and he or she is convicted of drink driving and loses a driver’s their licence. Even so, employers need to be careful. In Deeth v Milly Hill Pty Ltd  FWC 6422, Mr Deeth had been charged with accessory to murder after the fact and was released on bail. A director of the employer expressed concern regarding the reputational damage to the business and dismissed Mr Deeth immediately. The employer argued that the dismissal was valid because if Mr Deeth continued to work there, other employees would resign and customers would boycott the business. The FWC held that these were valid concerns, but that the dismissal was unfair because Mr Deeth had been denied procedural fairness because he was not given an opportunity to respond and was not notified directly about his dismissal. Furthermore in Rose v Telstra Corporation, Print Q9292  AIRC 1592 the Fair Work Commission stated that the circumstances in which ‘out of hours’ conduct might constitute a valid reason for dismissal were limited to cases where the conduct, viewed objectively, is likely to cause serious damage to the relationship between the employer and employee, damage the employer’s interests, or is incompatible with the employee’s duties as an employee. The Commission concluded that, in essence the relevant conduct must indicate a repudiation of the employment contract by the employee.